W. W. Norton & Company, 9780393079036, 336pp. Elsie Palmer traveled between her father's Rocky Mountain castle and the medieval English manor house where her mother took refuge, surrounded by artists, writers, and actors. Elsie hid labyrinthine passions, including her love for a man who would betray her. As the veiled Sally Fairchild--beautiful and commanding--emerged on Sargent's canvas, the power of his artistry lured her sister, Lucia, into a Bohemian life. The saintly Elizabeth Chanler embarked on a surreptitious love affair with her best friend's husband. 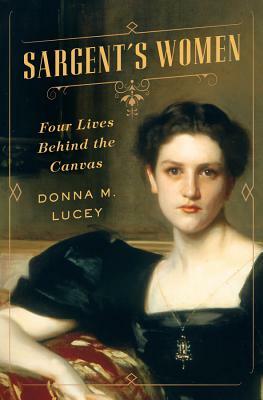 And the iron-willed Isabella Stewart Gardner scandalized Boston society and became Sargent's greatest patron and friend. Like characters in an Edith Wharton novel, these women challenged society's restrictions, risking public shame and ostracism. All had forbidden love affairs; Lucia bravely supported her family despite illness, while Elsie explored Spiritualism, defying her overbearing father. Finally, the headstrong Isabella outmaneuvered the richest plutocrats on the planet to create her own magnificent art museum. These compelling stories of female courage connect our past with our present--and remind us that while women live differently now, they still face obstacles to attaining full equality.